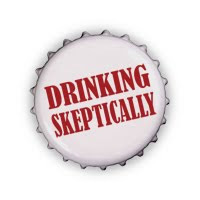 The Cleveland Skeptics: Holy Crap! Holy Crap! And I do mean Holy. And I do mean crap. Through Skepchick.org I learned of a new show called, "Possessed" staring Reverend Bob Larson, a new reality show in which the good Reverend travels the country exorcising demons from the supposedly possessed. Apparently this is not the first time Bob had dabbled in the entertainment world. I remembered a clip fellow Cleveland Skeptic blogger once sent me in which Bob Larson and Joe Nickell go head to head about a show called, "The Real Exorcist" (see below). Reverend Larson claims that these people are "troubled souls" who are "emotionally fragile" so he must be careful not to psychologically damage them. Although Reverend Larson may truly believe that he is helping these people, how is it not hurting these people with serious problems by not only distracting them from a real solution but by doing it on camera for the world's amusement? My life is a living hell. I practice the occult every night with Lucifer. I signed a pact in my blood and buried it with real human bones. My fingers make the shape of claws. I wake up at night growling. I throw up if I go to church. PLEASE HELP ME!!!!!!! Lastly, is Larson taking his followers for a ride as well? He offers dozens of books, pamplets and DVDs for sale in which one can find out if one is possessed or cursed and how to take part in "spiritual warfare." Be sure to check out all of the links above and browse his site. It is really amazing. It offers such goodies as the "Demon" test on which I fortunately scored at low risk for demon possession. (Whew! I was worried there for a moment!). Edited to Add: I found this youtube video in which a local newschannel tries to expose Bob Larson's finances, although it is unclear what the truth is and the amounts of money involved are not that big. I worked at a local hotel a few years ago when Bob Larson came to do exorcisms. His handlers' instructions were very clear: no one was to enter the room during the exorcisms without their permission, and they had a bouncer/security guard at the door to enforce it. As a sound tech, I had to enter the room to change out batteries in Bob's wireless mic, but they wouldn't even let me in to do that. I gave them a handful of batteries and left. They stayed until 4 a.m. exorcising. I have been a watcher of " Pastor" Larson for years, way back since 1985 when he had his radio show. Larson is, plain and simple, a con man. Its all about the attention but more about money. He charges $500 per hour for an " exorcism". He used to have a mail order ministerial degree and tried passing himself off as " reverend" until someone online ( ahem) made a few points about the real Bob Larson. Rev, Darrel Gene Motal ( the Paranormal Preacher) has a few YouTube videos on Larson, including interviews with two women who told of their bad experiences under Bob's " exorcisms". Also my blog site has a number of entries about BL and some of what I've discovered. This is BTW the SECOND " reality" show He's tried to get on the air, The first on was " The Real Exorcist" and was aired in the UK until viewers complained, then four of the eps were aired in the SyFy network two years ago last Halloween. I remember when I was about 12 a friend of mine had a book by him that her aunt gave her. It listed all these rock bands of the late 70s and early 80s and why they were tools of the devil. We had a great laugh over it. Eventually we buried it in the backyard to get rid of it. I like the video of Joe Nickell taking on Bob Larson. I'll just echo what Nickell said. The fact that we're in the 21st century seriously discussing demon possession on CNN is embarrassing.